My Valentine's Week giveaways continue through Thursday, so if you're just now discovering them, please join in! 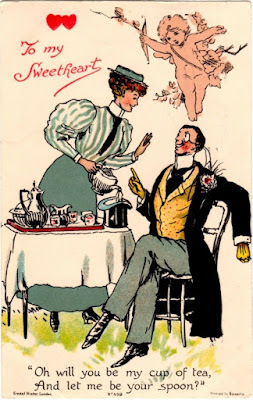 Each day, I share one of my vintage Valentine's Day cards and offer a small tea-themed giveaway. 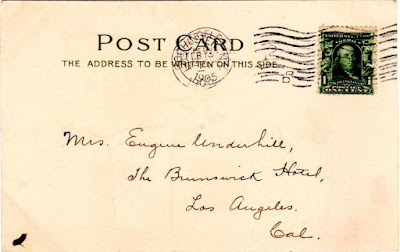 Now this Valentine's postcard makes me smile, and it is the perfect sentiment for warding off any suitors one is not wild about. This gentleman says, "Oh will you be my cup of tea, And let me be your spoon?" He looks rather cocky, and while the lady is smiling politely, do you see where she's pouring the tea? 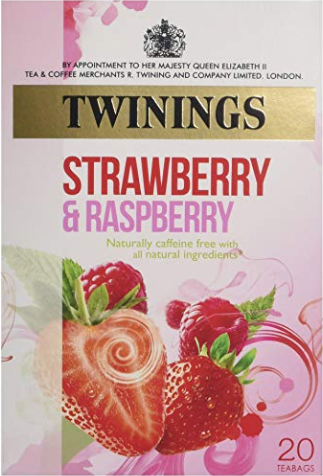 For today's giveaway, I found on Amazon this attractively packaged blend that I have tried and enjoyed before, a berry blend of Twinings herbal tea. If you'd like to win, just leave an "Enter me" to this post between now and 7 a.m. EST on Tuesday, February 12 (making sure to leave an email address or some way for me to contact you if you're the winner), and you'll be entered to win. Good luck! 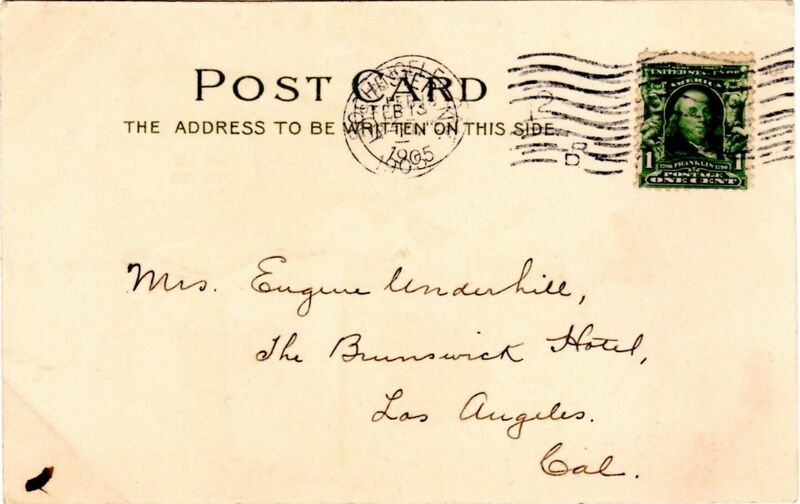 That postcard is too cute! And do please enter me for this one. Thank you! Your posts make February more fun every year. Please enter me. Lovely and delightful. Enter me please. Such special giveaways which I adore. Forgot them this past week. I would love to win this yummy looking tea. Please enter me ... and thanks! Enter me please! This Strawberry & Raspberry Tea sounds so refreshing and delicious! Please enter me. I’ve missed the earlier giveaways as they weren’t showing correctly in Feedly. That card is so funny! Yesterday a very large box came to my door from Twinings. It had 1500 teabags in it. Whew! Now that is a lot of tea. The rep for Twinings is speaking at our tea festival in July and she sent tea to give-away at the festival way ahead of schedule. Wishing she sent this flavor.